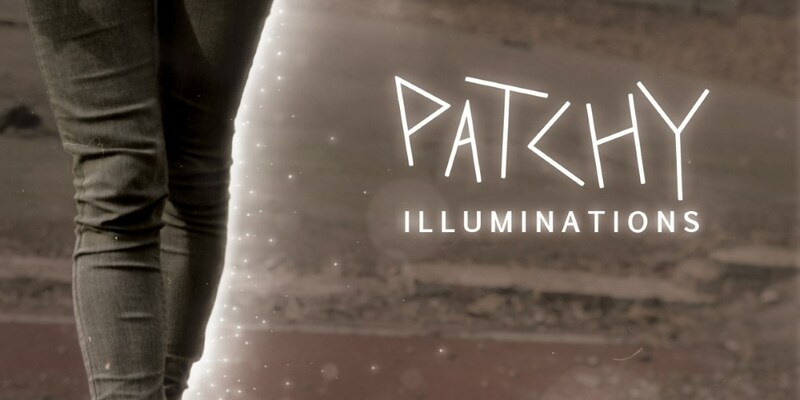 Patchy's debut album, Illuminations, showcases her ability to become a rising female electronic solo artist, joining the likes of Robyn, Goldfrap and La Roux. The debut album from electro-tinged pop songstress Patchy, which was produced in The Netherlands and Germany will be released this coming June. ‘Illuminations’ see’s Patchy’s warm and sweet vocals create melodies over driving rhythms and bassy synths, all making for a delightful slice of electro-pop. Patchy is a London based artist. Her musical inspirations become instantly apparent when listening to her debut album. From 80’s electronic-indie wonders New Order, to Kate Bush and her vocal eccentricities as well as minimal influence such as Magda and Ellen Allien. Legendary producer Giorgio Moroder is a big driving force behind the music Patchy has created and there are also undertones of Kraftwerk; embodying the simplistic 80’s inspired electronics, layered sounds and catchy melodies that is signature to their sound. Speaking about the album Patchy said: "The songs on Illuminations span over a decade and cover some of the most fun and memorable times had, as well as being used as a way of venting and getting through the harder times. Tracks like 'Starting New' and 'Happy Dark Spirit' reflect partying with friends, the sun shining on long weekends and those morning walks home, hungover but contented, whereas 'Dreams' and 'City' describe bouts of anxiety and darker moments. Most of the tracks began on acoustic guitar and piano which I then developed using Reason and a synth." The first single taken from ‘Illuminations’, ‘Picnic’ is all about the sweet melodies over a dark and dreamy synth bass. ‘Brixtonia,’ leads the way with spacey synths and hypnotic harmonies making for some melodic electronica. Tracks such as ‘Delicate’ and ‘City’ have a more lo-fi feel, creating dreamy soundscapes with beats, guitars and pianos against lush melodies. Whereas ‘Control’ takes things back to an 80’s inspired, dark synth pop era, allowing for Patchy’s vocals to take a more seductive voyage, evoking similarities in sound to Goldfrapp’s ‘Happiness’. Final track ‘Starting New’ is a summery electro-pop anthem, showcasing the idiosyncrasies Patchy’s breezy vocals have to offer, above soaring synths and uplifting electronic beats. ‘Illuminations’, which was co-produced by Francesco Pico, Qbical and Lanny May will be released through independent record company Manual Music. The label was set up in The Netherlands in 2005, mainly known in the electronic music scene it is slowly but surely widening it's horizons, working with bands and singer/songwriters in the indie- and electro pop genre, Patchy being a shining example of such.